Troy is our General Manager. 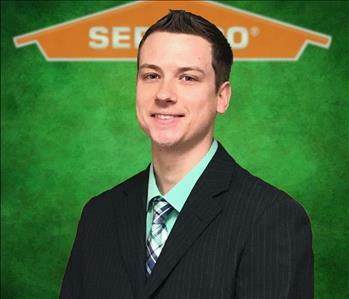 Troy oversees all of the day to day operations here at SERVPRO of Carbondale/Marion. Troy has an extensive background in construction and brings years of experience to the table. Josh is one of our Production Managers. 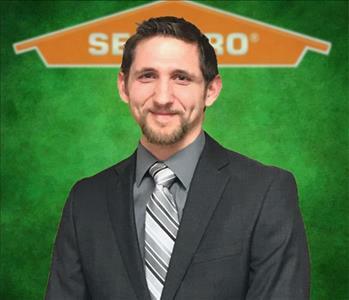 Josh is IICRC certified in Water Restoration, Advanced Structural Drying and is our HVAC Specialist here at SERVPRO of Carbondale/Marion. Josh wears many hats and is highly dependable regardless of which hat he is wearing any given day. Josh is also one of our certified Mold Remediation. 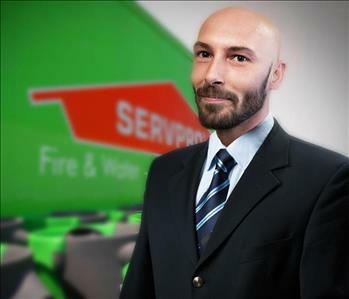 Jeff is one of our Production Managers at SERVPRO of Carbondale/Marion. He holds a IICRC Certification in Water and Fire Restoration Technology. Jeff has an extensive background in construction and knows what it takes to make your home's damage "Like it never even happened." Hallie Scott is our Senior Office Administrator here at SERVPRO of Carbondale/Marion. She runs all aspects of our local office procedures and is a valuable asset here at SERVPRO. Hallie is also IICRC Certified in Water Restoration Technology so she not only knows, she can perform the hands on services to mitigate a loss. Mikayla Stanfield is our Sales and Marketing Representative. 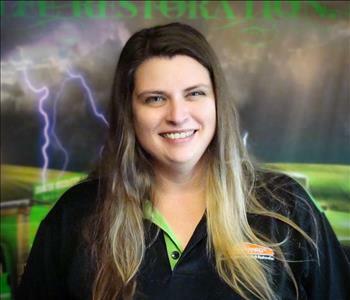 Mikayla strives to find new ways to keep SERVPRO of Carbondale/Marion involved in the community and is working to pioneer our social media into a more interactive space for our valued customers to reach out to us. 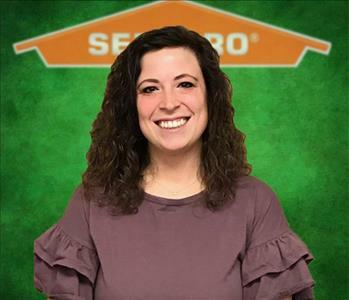 Alyssa Cox is our Administrative Assistant here at SERVPRO of Carbondale/Marion. She comes from an extensive background in customer service and secretarial work. Alyssa strives to make our customers feel comfortable throughout their restoration services. Ben is one of our Leading Senior Water Technicians. He is certified in both WRT and ASD. Ben is extremely knowledgeable on both HVAC servicing and cleaning techniques. His background in drywall installation and removal makes him a valued addition to the SERVPRO family. Melissa Duncan is one of our Content Cleaning Specialists. She takes great care and is extremely through when professionally cleaning your contents or carpets. Melissa is extremely detail oriented and is always up to help when needed. 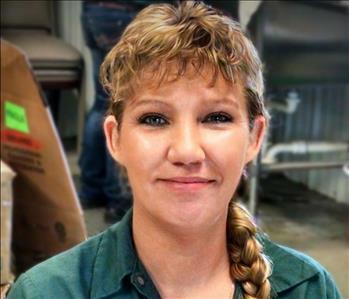 Misty Smith is one of our long tenured Cleaning Technicians here at SERVPRO of Carbondale-Marion. Misty is IICRC certified in WRT (Water Restoration Technician). She is also one of our contents cleaning and professional carpet cleaning specialist. 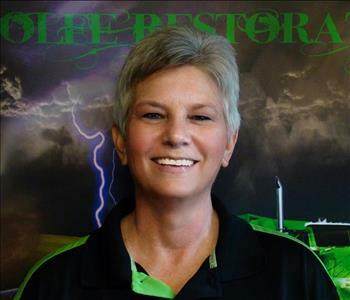 Shelly has been with SERVPRO for several years. She is one of our Contents cleaning specialist and expert carpet cleaning guru. Shelly takes great care, extremely thorough and detail oriented when professionally cleaning your carpets. Regardless the task at hand, Shelly jumps right in to help get the job completed. John is our Director of Construction Services. John has IICRC Certification in WRT, Advanced Structural Drying and Applied Microbial Remediation. John also has 10 + years in the Restoration and Construction sector.